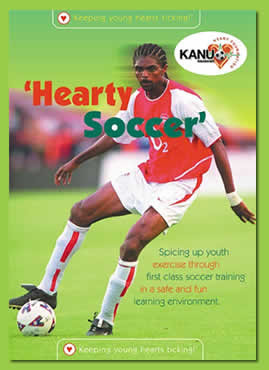 I don't think anyone was as surprised as I was to hear that Kanu was nominated for the 2006 African Footballer of the Year Award scheduled to hold in January 2007 in Abuja, Nigeria. Common people...this guy had been written off some years ago. People had referred to him as 'tired leg', said he had nothing more to offer and advised him to retire, and now he is being nomited for the best leg in Africa? That is astounding. There's a saying that you can't keep a good man down. I guess kanu is a good example of that. From being in a club relegated to 2nd division to being one of the highest goal scorers in the English premiership. 8 goals so far in one season and still counting. His current club, Portsmouth, signed him on for just a year. I guess they were a bit skeptical about his relevance to their club, now I hear they want to renew his contract. But why am I surprised? 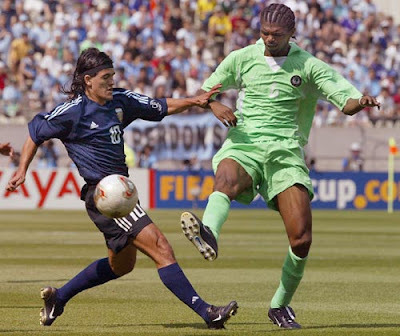 This is Kanu Nwankwo we're talking about; the same guy who made that magic at the 1996 under 23 world cup. The guy is a phenomenon and deserves to be nominated even if he does not win. He's won it twice already.